Distell unveils super-local Tobermory Hebridean Gin! No Comments on Distell unveils super-local Tobermory Hebridean Gin! Are you a gin magpie with an eye for shiny, new juniper-based concoctions? Then listen up. Mull-based distillery Tobermory is in the process of releasing its first gin expression. Behold – Tobermory Hebridean Gin! Tobermory Distillery has been closed for a two-year renovation period, and the first fruits of that investment were on display at an event in London last night (27 March). Not only did the distillery reveal its new Tobermory 12 Year Old, an unpeated bourbon cask-matured, virgin oak-finished Scotch whisky expression, but it surprised guests with a sneak peek at the new gin, too. Tobermory Hebridean Gin – Tobermory’s first gin! Tobermory Hebridean Gin is a 46.3% ABV small-batch-distilled gin made with local botanicals including elderflower, tea and wild heather, and a dash of Tobermory new-make spirit. The new-make is used more as another botanical rather than the full base. The result means the oily, cereal character is a flavour contributor, rather than overwhelming the whole expression. We were particularly impressed by the bottle, which showcases the iconic, colourful houses that border the shore in Tobermory, the island’s biggest town. The clear glass and label design are in line with a sleek brand refresh for the wider spirits range. Dr Kirstie McCallum, Distell’s master blender, told us that the gin release was the result of the investment in the distillery. It’s currently being produced in 60-litre still named Wee Betty, with a larger dedicated gin still set to be installed in the new spirits stillhouse (separate from the existing whisky-producing space) later this summer. Once the larger still is in situ, the gin will be released more widely. The shiny new Tobermory 12 Year Old! McCallum also confirmed Tobermory 10 Year Old has been discontinued with the launch of the 12 Year Old expression, and that we can expect to see more changes to the distillery’s core Scotch whisky range soon. In addition to the unpeated Tobermory range, the site also produces heavily-peated Scotch whisky under the Ledaig name. Keep an eye on the blog for our full interview with McCallum, including further details on Tobermory Hebridean Gin and Tobermory 12 Year Old, coming soon! In days gone by, the primary function of a cocktail was to mask the harshness of the spirit within and make the drink a little more palatable. Thanks, however, to improvements in distillery technology – and good old health and safety – cocktails evolved to show off the quality of the alcohol. Now, producers are turning everything on its head and creating spirits that serve the cocktail, rather than cocktails that serve the spirit. “Following the explosion of the global cocktail scene in the early 1990s and the more recent renaissance of classic cocktails in the last five to 10 years, there has been a dramatic increase in the production of mixology-focused spirits,” observes Geoff Robinson, UK brand ambassador for Santa Teresa rum. A former bartender at London bars Happiness Forgets, Library, Seven Tales and Satan’s Whiskers, he has experienced – and experimented with – the burgeoning ‘cocktail spirits’ market first hand. This nascent bartender ingenuity has prompted producers to follow a new path: distilling – and bottling – with mixed drinks in mind. And who better to inform their decisions than the very people who will be pouring the liquid? 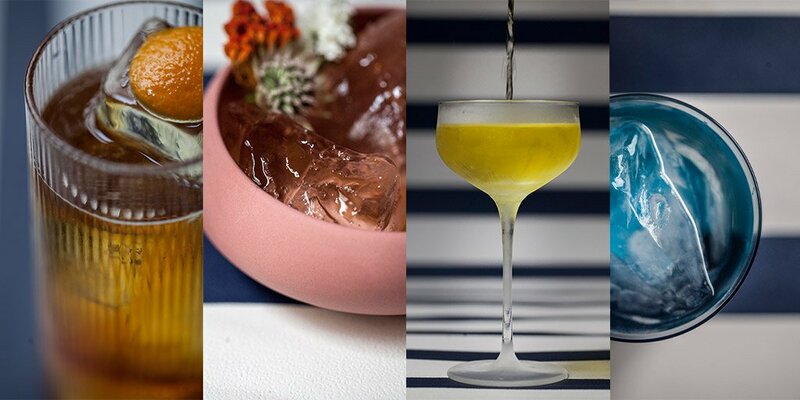 From brainstorming flavours to tapping into specific cocktail applications and testing early batches of product, bartenders have been increasingly involved at every stage. Some brands, like Auchentoshan, go a step further – making the process a competitive collaborative endeavour, such as its Bartenders’ Malt release. Flavour aside, there’s also the small matter of practical use when it comes to the cocktail-specific spirit. The packaging and bottle must be ergonomic – both in the hands of bartenders and atop the backbar – and depending on the venue, or perhaps even the cocktail, durable enough to protect the contents within. Flavours change over time, says Spezziga, depending on the style and size of the bottle as well as the liquid. Aged spirits like bourbon and Scotch can lose a significant amount of their colour due to exposure to both light and heat, he adds. What is it? Blended Scotch malt whisky from William Grant containing “a unique combination of small batches of three different Speyside single malts” according to team MS. Cocktail credentials: First released in 2005, this easy-drinking malt was quite literally “made for mixing” according to its creator, master blender Brian Kinsman. Watch out for the Monkey Mixer, an 11,000-litre cocktail shaker made from a “pimped out cement mixer truck”, which tours around the globe. How to serve it: Try a Monkey Splash – 30ml Monkey Shoulder, 45ml soda, orange wedge. Build the ingredients in a glass and garnish. What is it? Created by Simon Ford of The 86 Company and Thames Distillers’ master distiller Charles Maxwell, Fords Gin combines juniper, coriander, lemon, bitter orange, grapefruit, cassia, angelica, jasmine and orris to produce a fresh, aromatic and floral gin. How to serve it… In a 50/50 Martini: 45ml Fords Gin, 45ml Dolin Dry Vermouth, 1 dash Regan’s Orange Bitters, 1 lemon twist. Pour all ingredients into a mixing glass, add ice, stir for 40 counts, then strain into a chilled coupe glass and garnish. What is it? Tequila made from 100% blue agave grown in the Los Altos highlands of Mexico. Cocktail credentials: Olmeca was designed by bartenders – specifically industry legends Dre Masso and the late Henry Besant – for bartenders, with the help of Olmeca master distiller Jesús Hernández. It’s citric and sweet, with a fruity aroma. How to serve it… Put a twist on a classic with the Negrete, Mexico’s answer to a Negroni. Combine 1 part Altos Plata Tequila, 1 part Campari, and 1 part red vermouth in a mixing glass. Stir with cubed ice, decant into a tumbler, and garnish with a slice of orange. What is it? A VS Cognac from the house of Pierre Ferrand, made from grapes grown in the Grande Champagne region. Cocktail credentials: Made according to a recipe that dates back to 1840, the liquid is a collaboration between Pierre Ferrand owner Alexandre Gabriel, cellar master Christian Guerin, and cocktail historian Dave Wondrich. How to serve it… No question – the Original Cognac Cocktail, as adapted from Jerry Thomas’ 1862 tome Bar-Tenders’ Guide. In a mixing glass, stir ½ teaspoon fine sugar with 5ml water until dissolved. Add 60ml Pierre Ferrand 1840 Original Formula, 5ml orange liqueur and 2-3 dashes aromatic bitters. Fill the glass with ice, stir well and strain into a chilled cocktail glass. To garnish, twist lemon peel over the top. What is it? Single estate Venezuelan rum aged according to the solera method commonly used in Spanish sherry. Cocktail credentials: Five generations of rum-making poured into one bottle. Rum blends aged up to 35 years in bourbon barrels undergo solera-ageing resulting in a dry, smooth rum that can make any classic cocktail shine. How to serve it: The Roseta. Pour 1 ½ parts Santa Teresa 1796 into a glass, top with sparkling water and garnish with an orange twist. Delightful.